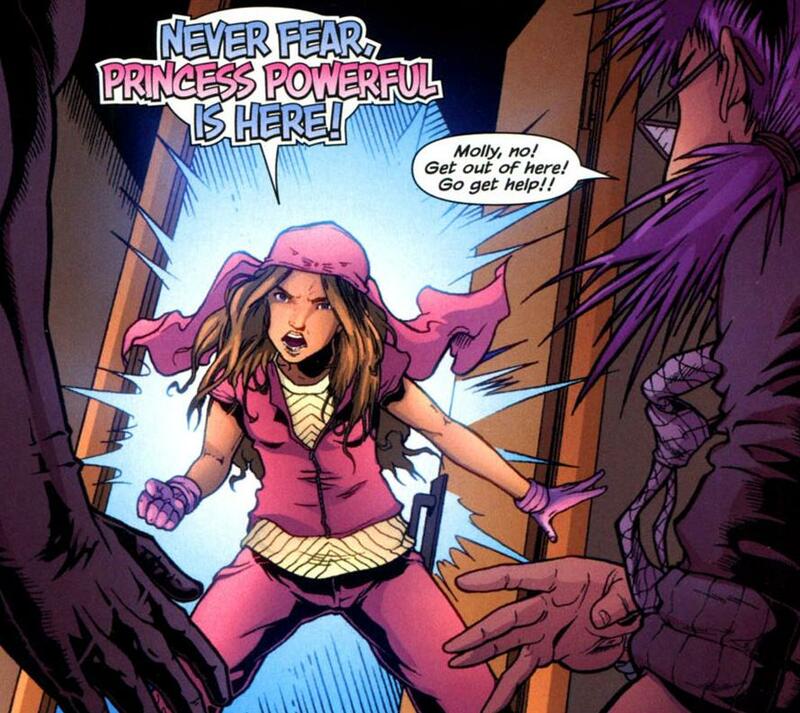 A new Runaways teaser has been released and this time we focus on Princess Powerful herself, Molly Hayes. Molly’s the youngest of the team and has ninja-ish parents who also belong to The Pride. Her powers are super strength via mutation. Here’s her teaser still drawn by Kris Anka. So while Molly is a mutant, she rarely hangs with fellow mutants. She instead sticks with her family for most of her young life. 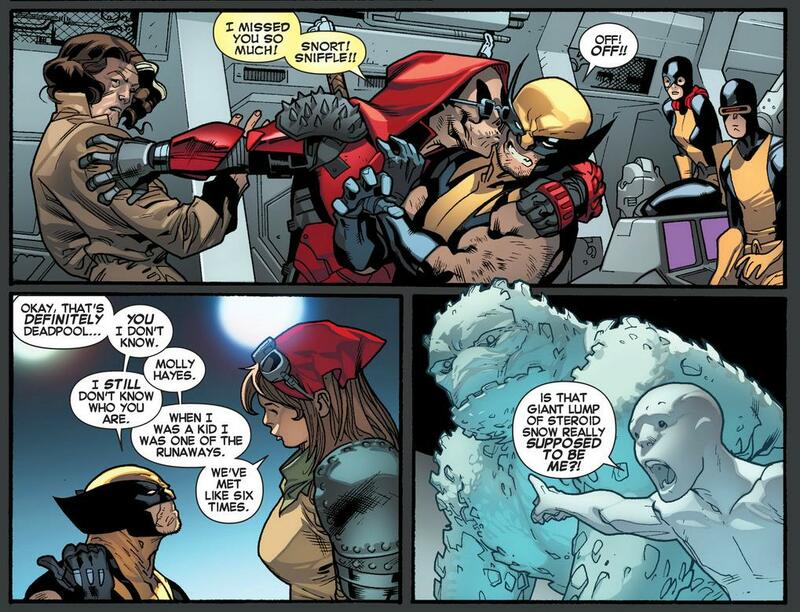 In one of the storyarcs during Brian Michael Bendis’ run on All New X-Men entitled Battle of the Atom, Molly appears to have grown and was running around with Xavier’s son aka Brotherhood of Evil Mutants. While at first they were welcomed by the X-Men with a bit of apprehension, they were eager to welcome the new mutants who have returned from the future which includes Hayes. That was such a bad thing to see, Molly working together with Xavier’s son who looks just like his dad. 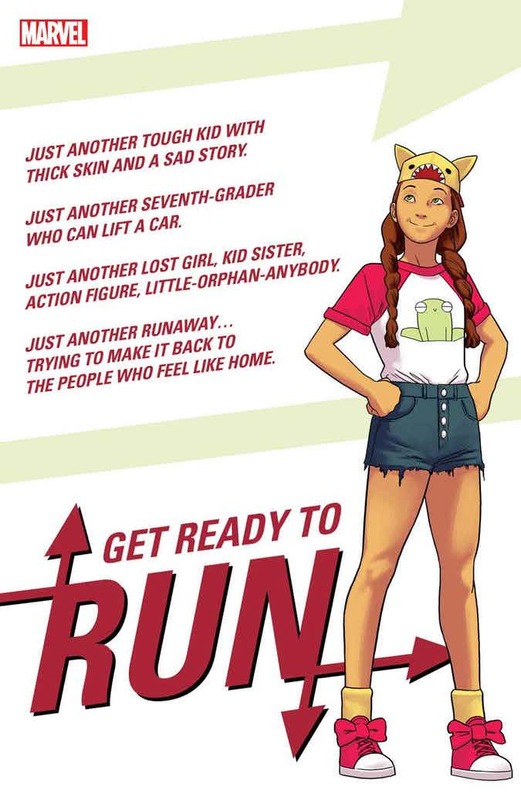 I’m sure that won’t be her future anymore considering that the Runaways TV show looks like a promising TV show from Marvel. What we’re still not sure at the moment is whether or not Kris Anka will be onboard the still-unannounced Runaways project as an interior artist. Bully. This is pretty much the fourth Runaways teaser. We already have Nico Minoru, Chase Stein, Karolina Dean. Fifth if you add the teaser featuring the genetically engineered dinosaur Old Lace. Jonathan Hickman Returns to Marvel in July. Is he Writing X-Men? Aquaman vs Superman in Aquaman # 6! Was this the Green Lantern Who Appeared in Justice League? Previous story REVIEW: Wonder Woman – Finally DCEU! Finally!